Professor June Andrews, Director of the University of Stirling Dementia Services Development Centre, will be presenting and reading from her new book on Thursday 12 February at the Iris Murdoch Building on the University campus. ‘Dementia: the one-stop guide’ is published today (Thursday 5 February) but already a reprint has been ordered by its publishers Profile Books due to high demand. The book is a distillation of June Andrews’ years of experience as a nurse, and as director of the world-famous dementia centre in Scotland. Now there is a chance to meet its high-profile author next Thursday at the Stirling centre. Other events are taking place in Belfast and London. Decades of experience, coupled with the latest research, result in a practical publication for both those living with dementia and Alzheimer’s disease and the people who care for them – whether family members or professionals. A diagnosis can be a harrowing experience, but in ‘Dementia: the one-stop guide’ Professor Andrews sets out how people can stay well for as long as possible, rather than deteriorating faster than they need to. The accessible guide - described by broadcaster John Humphrys as ‘exactly what is needed’ – covers every stage, including adjusting to a diagnosis, managing care at home, and what can be expected from the NHS and beyond. The Dementia Services Development Centre at the University of Stirling offers a range of courses, bespoke training and advance study options. The University of Stirling’s Dementia Services Development Centre is an international centre of knowledge and expertise dedicated to improving the lives of people with dementia. It draws on research and practice, from across the world, to provide a comprehensive, up-to-date resource on all aspects of dementia. For over 25 years it has worked with individuals and organisations to improve the design of care environments, to make communities dementia-friendly, to influence policy and to improve services for people with dementia. The Stirling launch of ‘Dementia: the one-stop guide’ takes place on Thursday 12 February at the Iris Murdoch Building in the Dementia Services Development Centre from 10am to noon. Places cost £25 per person, including a signed copy of the book. Refreshments will be provided and there will also be a presentation on the Centre’s Comic Relief-funded training for carers. For further information, and to book, visit http://dementia.stir.ac.uk/education/training-directory/launch-dementia-one-stop-guide. The book is published by Profile Books today, 5 February 2015, and costs £9.99. It is available from all good bookshops and is available for Kindle. Worldwide 44.4 million people are living with dementia – and hundreds of millions of families, friends, health and social care workers are affected. There is no cure, and the symptoms, from memory loss to hallucinations, can be disturbing for all involved. 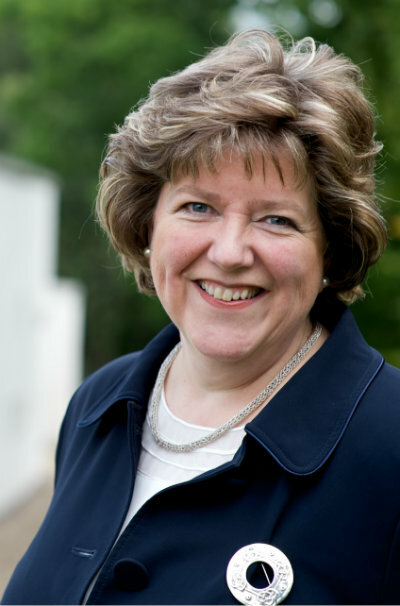 Professor June Andrews was made a Fellow of the Royal College of Nursing of the United Kingdom in 2014. She is a former trade union leader, NHS manager and government health nurse, and became Director of the Dementia Services Development Centre (DSDC) at the University of Stirling ten years ago.